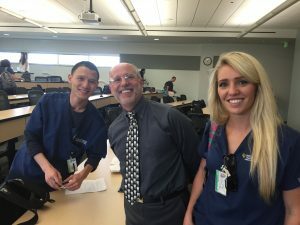 DLN • Colorado board member and Donated Dental Services (DDS) volunteer, Dr. Brian Kelly addressed life after graduation with 60 University of Colorado dental school students. The Colorado ASDA chapter hosted a lunch-n-learn to provide valuable career advice from Dr. Kelly. Dr. Kelly touched on professional options and volunteer opportunities for students after they graduate. Telling personal stories and insights into the dental profession, Dr. Kelly lended a unique chance for students to gain knowledge from a practicing dentist with first-hand volunteer experience.